Prosper, Lending Club, and Best Egg are the most established p2p lending platforms on the internet. The loans from a p2p platform are provided by individual investors. The individual investors will decide whether to fund the loan after taking a look at the financial background of the borrower. Because they are online lending companies, they are able to reduce the operating cost. The following is a comparison of Prosper vs. Lending Club vs. Best Egg. Lending Club is a P2P online loan platform that offer loans for good credit borrower. The majority of the funding is provided by large institutional investors with individual investors only account for a small shares. With Lending Club, you can post an ad and ask for funding of up to $40,000. The lowest amount you can borrow at Lending Club is $2,000. The interest rate starts low from 5.99% and can be as high as 35.89% depending on your credit score. Lending Club charges an origination fee of up to 6% on all loans that they issue. Lending Club has is faster to release the funds. They only take 2 days deposit the funds in your account. Therefore, if you need money fast, you should consider applying a loan from Lending Club. Lending Club is also available in more states than Prosper. Lending Club provide joint loan services. If your credit score is too low, you can apply for a loan with your spouse if he/she has a decent credits core. This will increase your chances of getting approved. Prosper is another leading P2P online loan platform. Compared to Lending Club, Prosper charges lower origination fee of up to 5%. This means that you save $200 when you apply for a $20,000 loan. Prosper is not available in states like Maine, North Dakota and Pennsylvania but Lending Club does provide loan services for residents in these states. Both Prosper and Lending Clubs do not offer loans for residents in Iowa.. Residents in Iowa should consider alternative loan platforms. Prosper takes around 3 days to release the funds. Best Egg is a new online lender founded in 2014. 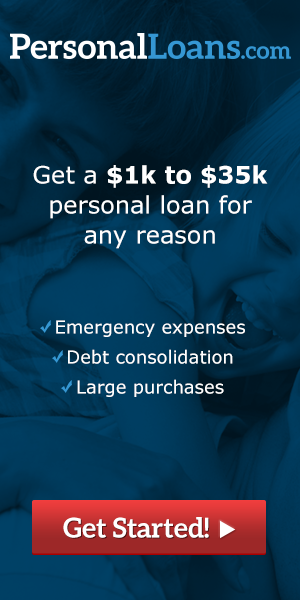 It offers personal loans starting from $2,000 – $35,000 with installment from 3 – 5 years. The lowest interest rate they issue is 5.99% and it can reach as high as 29.99%. The interest rate stays the same throughout the loan term. It does not charge any application fee. It does charge an origination fee of up to 5.99% which is automatically deducted from the amount released to the borrower. Best Egg usually takes 7 days to process and close the loan but they may take up to 45 days in certain circumstances. Once approved, you can expect the fund to be reimburse into your account in 1 – 3 days. What Credit Unions Have the Most Locations in Ohio?